Ford clearly has a thing for orange. 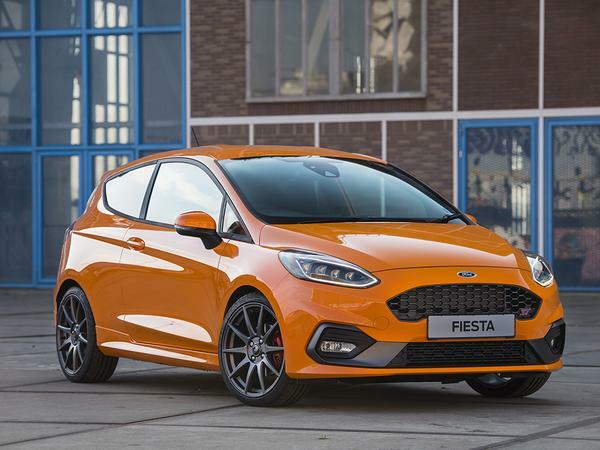 The final 50 examples of 'Heritage Edition' Focus RS were painted 'Deep Orange' - and now the manufacturer has reused the fizzy-drink shade for this, the 'Performance Edition' Fiesta ST. Limited to just 600 units, and on sale from June, the model is exclusively three-door - and exclusive to the UK. 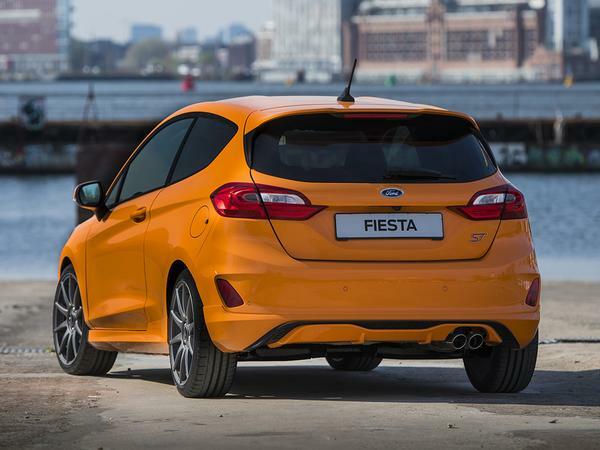 Truthfully, nothing about the limited edition trim level is entirely new because it is festooned with Ford Performance parts that were already available to purchase separately from the manufacturer. But that won't stop the Performance Edition selling out in a nanosecond, of course - and nor should it because a) it'll almost certainly be very good if not great and b) with careful use you can expect it to be virtually depreciation-proof. So what do you get for what Ford calls "at least a £3,000 premium over the standard ST-3 list price"? 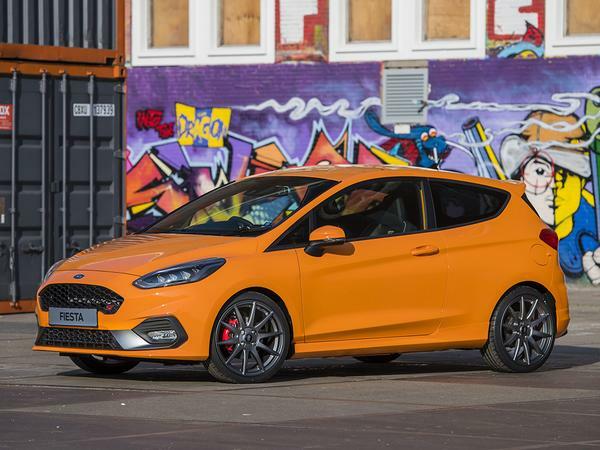 Well, basically £3,000 of chassis-enhancing kit including, most notably, a bespoke coilover suspension pack which lowers the Fiesta's ride height by 15mm at the front and 10mm at the rear, and adds 12 bump and 16 rebound settings. And to make the fun of manually fiddling with them in a pit lane even more rewarding, the Performance Edition twins the new springs and dampers with flow formed alloy wheels that are said to contribute a 7kg reduction in unsprung mass compared to the standard foursome. The stronger and rather handsome 10-spoke, 18-inch rims are finished in rather fetching triple layer 'Magnetite' paintwork, too. 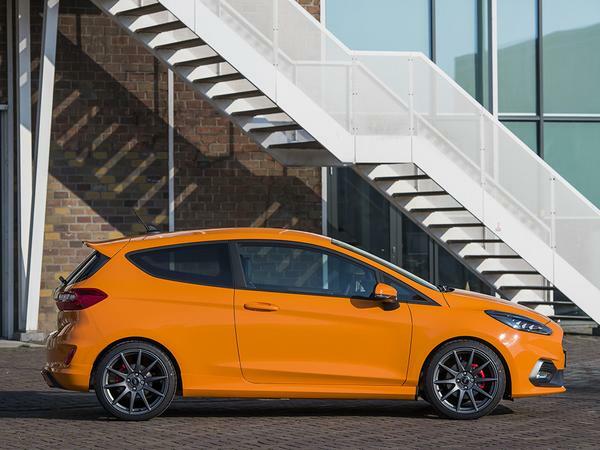 "The Fiesta ST is the car that keeps on giving," said Andy Barratt, managing director, Ford of Britain. 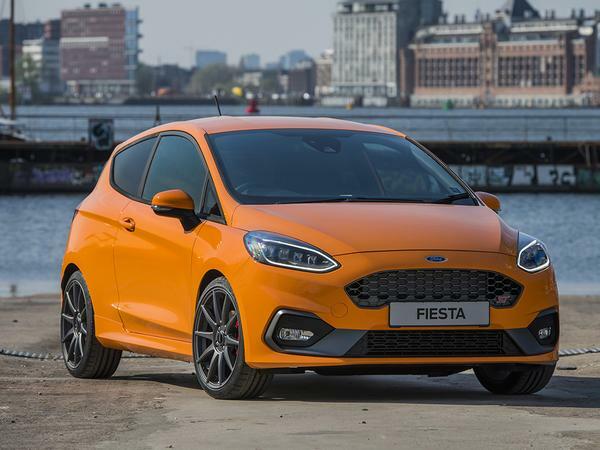 "It's fast, fun, affordable, practical and economical - and now we've built a unique example for Ford fans wanting to stand out from the crowd. This ST is for customers who are performance-oriented drivers and tuning enthusiasts who demand maximum fun on the road combined with a sporty appearance - the ultimate Fiesta ST."
Of course, being only one year out from launch means that this 'ultimate' variant doesn't involve fiddling with the car's current (and eminently tuneable) 200hp output - rest assured that'll be the business of future 'ultimate' versions of the ST - but inevitably you do get the Quaife limited-slip diff and launch control, and other high-spec items, too, like LED headlamps and the B&O stereo. Together with the warm and fuzzy feeling that comes with being the member of a small-ish orange-coloured club. A standard 3dr ST3 (PP) is £23,375 in the UK, so we're looking at almost £27k for this. Excuse my ignorance to the ST brand but surely there's room for an absolute shed load of depreciation here? Do quite fancy it, mind you. Don't care how much it is, that looks belting. As for this one, sure its ace but orange is a bit lairy. Factor in the performance pack and the LED headlamps and it’s not far off a standard car plus options. Then you have the lighter wheels and suspension. Only shame is no power increase. If only they made an RS, wider track, flared arches, bonnet vents and 250 bhp. This looks great though. I agree. This one of very few cars that could tempt me back into a manual. I'd buy it just for the Orange paintwork tbh! a new colour of paint, suspension and -7kg in weight - this is more than porsche manage with their special lightweight editions these days. would the coilover suspension usually be in warranty of it wasn't purchased in this pack? Great little car with added bits you'd probably want to do anyway? 10/10 would fire into paddock hill bend too fast and hope and pray the car takes care of getting out the other side safely for me. That does look good in orange. Really good in fact. Just sold my Moulton Orange Mountune ST3 which was great, now have a 2019 Performance Packed ST2 which is great & more grown up. I do love the new 200 bhp standard soundtrack if not all generated by the engine, but I do miss the Orange paintwork. Not totally sold on the orange but, if nothing else, this proves just how good the ST looks with some nicer wheels and a slight drop. An ST-3 PP in Silver Fox or Performance Blue, complimented by the wheel and suspension upgrades, would make for a very handsome Fiesta I would think. Not sure it's quite so easy to say that the new engine is "eminently tuneable" when Ford won't even offer the mountune upgrade with warranty anymore. I don't expect these little three-bangers will offer the tuning capability of the 1.6 EcoBoost, which seemed massively over-engineered. The Ford Performance wheels are available separately, and have been for some time. New wheels. Much prefer the look of the standard wheels. Personal preference. So the article says with `careful use` which means sit it in a garage and don't drive it, it'll not lose much. However, with the potential for more quicker Fiesta's (RS Maybe) in the pipeline, why would this car hold it's value. It's not like it's the last of the line cars like the Focus RS Heritage edition. And why buy a Fiesta ST to treat like a Ferrari and not use it? Bizzare. So yes to the suspension revisions (make it an option on the standard ST with another option for the love them or hate them wheels) and then you can order the car in a better colour, while enjoying the suspension revisions. But come on Ford. 250BHP+ Fiesta RS please. Nice looking car, Ford appears to have done well with this model and the last model. However, I suspect there will be multiple 'limited', 'special,' 'heritage' editions of this model (ala the Focus RS MK3), especially considering its only just entered its production run in the last 12 months. That looks really excellent. The wheels are so much of an improvement over the standard 18” ones. Wonder if you’ll be able to get it with discounts like the standard car, otherwise the price difference could actually be lot more than whatever this is listed at. That does look smart and I'd love a blast down a nice country road in it. Get a MK7, few choice mods and have 300 bhp in a Fiesta.